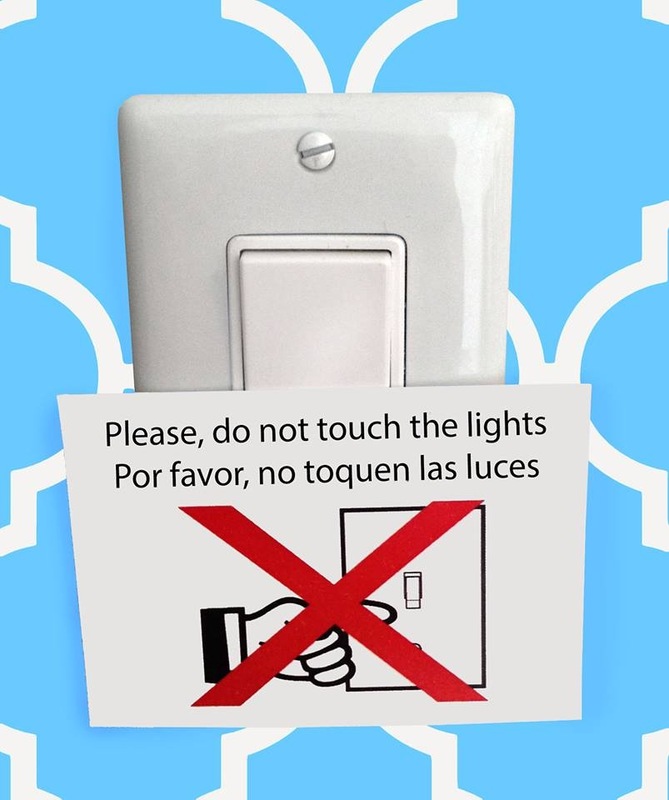 Ever stay in a hotel over Shabbos or a Chag and have housekeeping shut off the lights? Or similarly, ever stay in a hostel with other guests who are not observant and who shut the bathroom light off? Here’s a quick fix: ProtectOhr stickies. Simply take a ProtectOhr sticky and place it on or next to the light switch in your room, bathroom, or to whatever light switch you want kept on. This is a great product for travel, but can also work well in homes with children, rooming situations with non-observant or non-Jewish people, etc. This will come especially handy for those taking extended vacations for Pesach, Sukkot, Winter break, or anytime over Shabbat.